Mademoiselle loves to read, and she’s a much faster reader than I am. We’ve both read “The Count of Monte Cristo,” and I thought it was cool that she visited the Chateau. I’ve never been to Marseille, but I think I’ve had bouillabaisse. I know I didn’t hike The Calanques, like she did. She put the rare photo of herself there on Instagram, and she looked very contente. 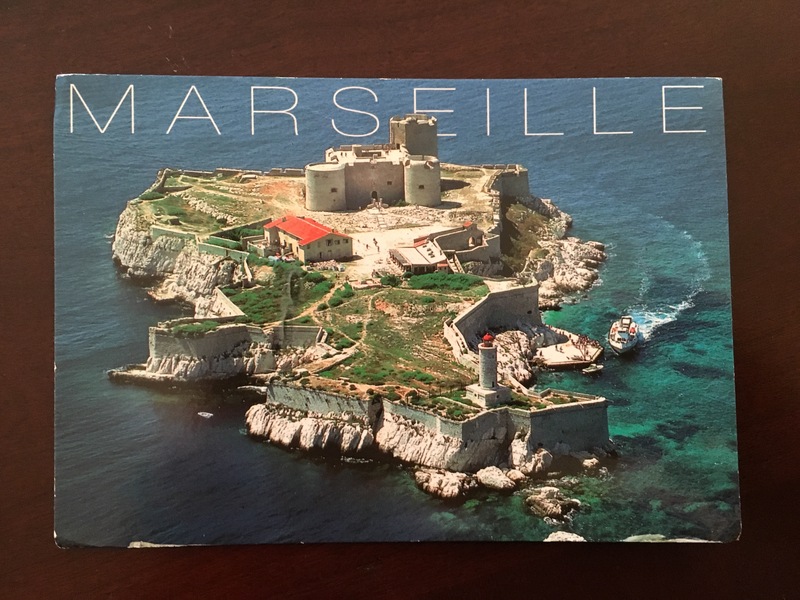 This fortress is only a 10 minute ferry ride off of the coast of Marseille, and it was absolutely spectacular. This was the setting of “The Count of Monte Cristo” by Alexander Dumas, where the main character is wrongfully imprisioned and escapes from. We spent the rest of the day exploring Marseille, got bouillabaisse for dinner, and explored The Calanques all the next day. I hope you’re having a fantastic fall and I love you so much!